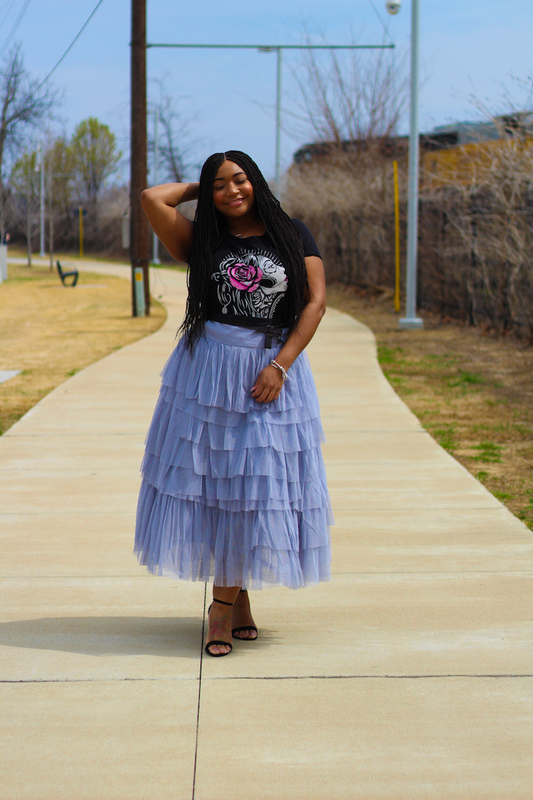 I am so excited to be bring you another installment of the blogger series “Spring Trends,” this series is all about styling on trend spring items you may or may not already have in your closet. And guess what?! I am bringing some of my favorite local bloggers along with me. 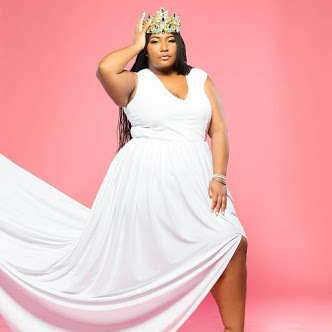 Check out the following bloggers week 3 post: Belinda of The Honey Bee 901, Chasity of Sweat In Mascara, Sherill of Sherill Davis, Desiree Mocha Divas, and Almetria of Fit and Finally Free. 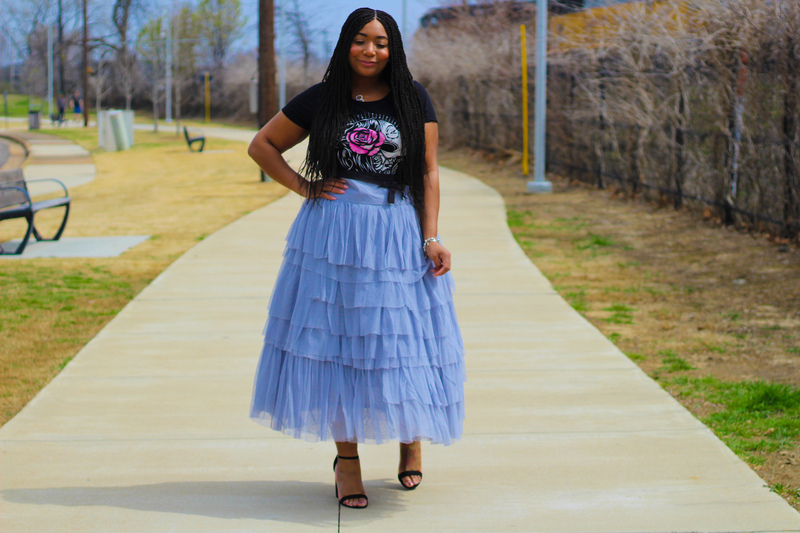 This weeks trend is tulle. 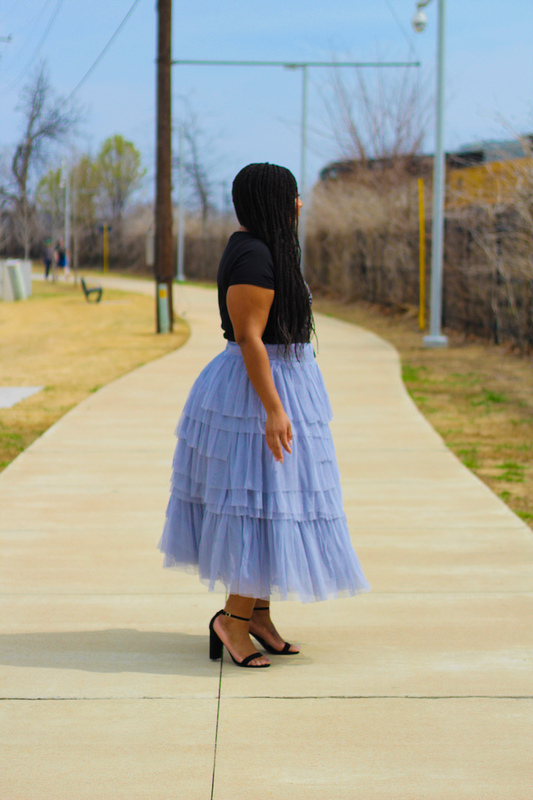 Tulle skirts have always been dreamy to me on every other body, but I was always apprehensive when it came to my body. I believe that you can admire a trend from a far and still think it is not for your body type. 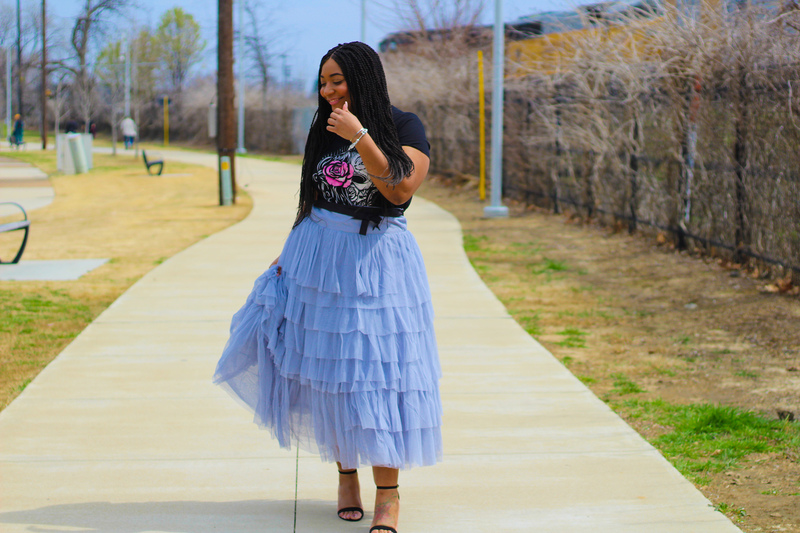 I have worn tulle two times (here) on my blog and both times I found tull skirts with less volume than usual. Well I took a completely different approach this time. I wanted a voluminous skirt. I figured why not face this fear head on! 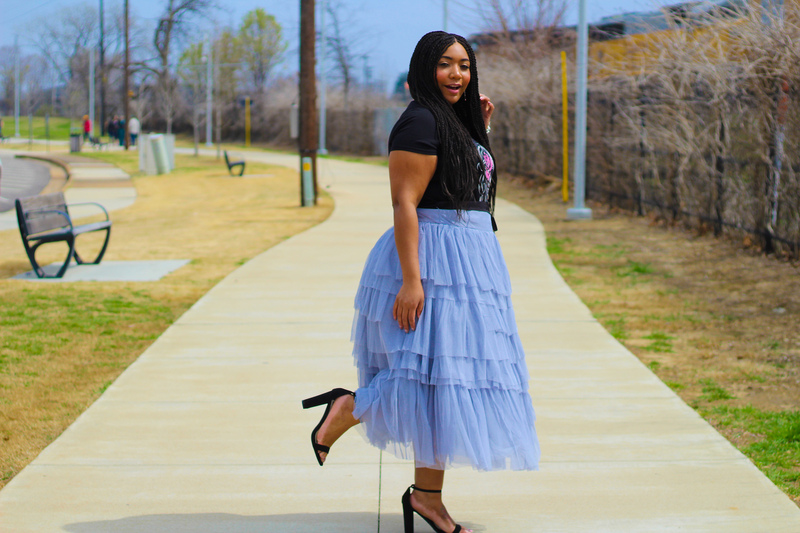 Not only did I find a voluminous tulle skirt, it has layers and layers of tulle! The removable sash complimented my waist line and the layers created a flawless silhouette for my hips. I am so happy about this look. Completing this look was so easy. 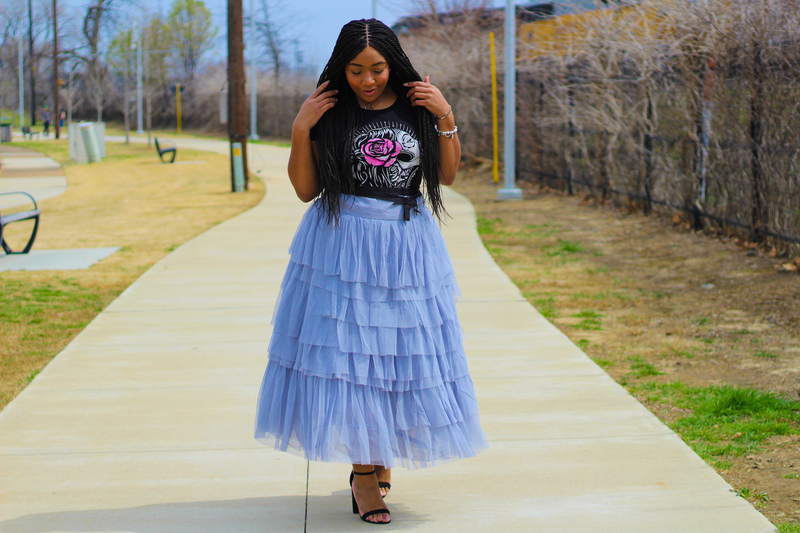 I had the graphic tee (similar) in closet from Decemeber and the sandals were recently purchased at really great price. 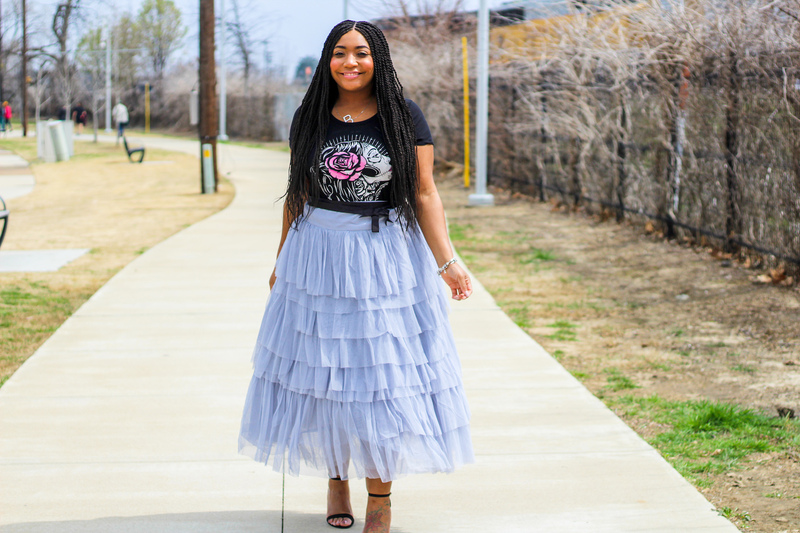 This tulle skirt is a showstopper and I wanted it to take center stage, I accessorized this look with an initial necklace. 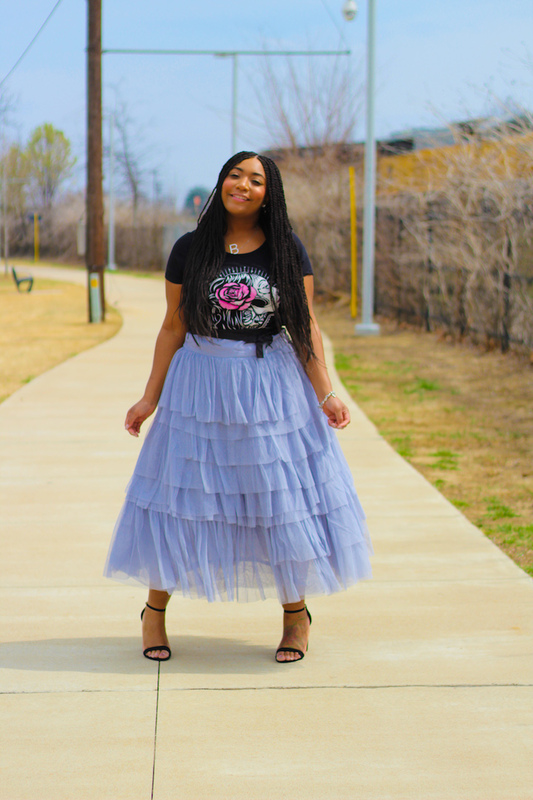 Style Notes: My tulle skirt is a little big in the waist because I ordered a 14, I knew I needed the 12 after trying it on, (I will be adding it to my closet sale or getting it altered). My sandals are true to size a 10. My graphic tee (similar) is also true to size in a 0x.